In recent years, the mining crushing and screening machine develop fast, and the development of crushing technology from production, fabrication to application also improves quickly. The new kind of screening machine and technology are continuously appeared, which improve the crushing quality and fineness to make sure the high integration of the production line and strong production capacity of the supporting crushing machine. Extra-fine crushing is one of the important research and development aspect of mining industry. The finished products are classified by the vibrating screen. Apply different types of screening machines and dry blowing system to classify the materials to meet the requirement for the next crushing process. The appearance of vibrating screen solves the materials grading problem. 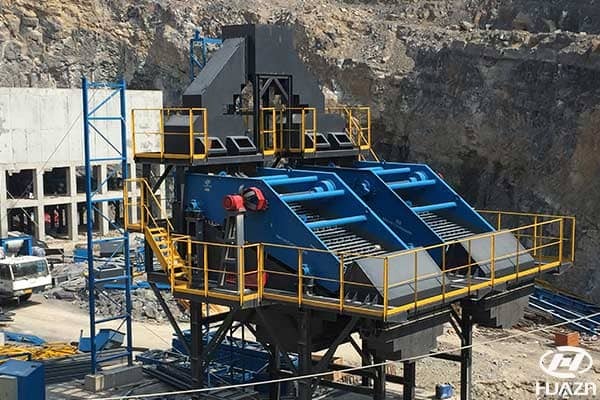 From traditional rotary screen to circular screen machine and closed vibrating screen, all these screening machines ensure the high quality of materials grading, realizing the effective utilization of mining resources. Circular vibrating screen adopts advanced spring device to reduce the buffer that generate from the materials feeding impacting, it optimize the screening machine structure and enhance the screening working, which is widely applied in various kinds of mining crushing and screening fields. The screening machine manufactured by Luoyang Dahua has advanced technology and simply structure, which gain the high praise from the domestic and overseas customers.